male singer and actor from Japan. His songs were made into theme songs for the hit anime Tsubasa: Reservoir Chronicle ("It's", "blaze", "aerial") and Gravitation. He is best known for his musical contributions to Gravitation. 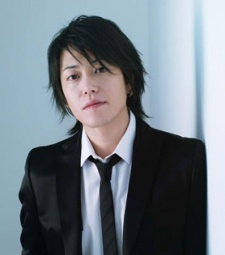 In Gravitation, Kotani was the singing voice for the lead singer of 'Bad Luck', Shuichi Shindou. Commonly mistaken as the seiyuu, he is the voice behind all the songs that Shindou sings, such as 'Rage Beat', 'Blind Game Again', 'Smashing Blue', and many others. Another misconception is that songs not intended for the Gravitation series are considered 'Gravitation songs'. Kinya was previously in a band called Mad Soldiers. They released a mini-album called Mads Laboratory before Kinya released his solo singles. Mad Soldiers is also the backing band that performs the music in his songs, and they have also played at Kinya's concerts. Kinya: "I am my favorite musician." I love BLAZE and IT'S from tsubasa chronicle!!! This is NOT Kinya.... it's Michihiro Kuroda of Iceman.... .____.